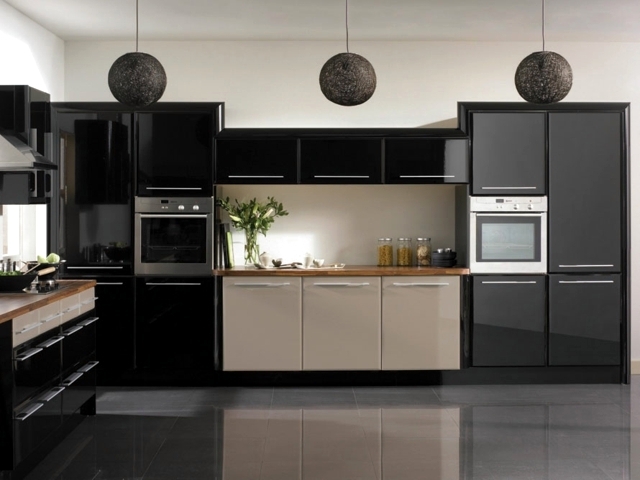 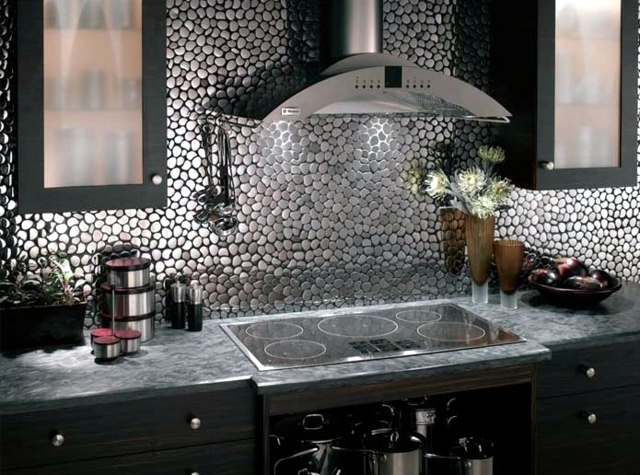 We offer 85 new ideas for you kitchen splashbacks - the designs are not only practical and provide protection for the kitchen, but they also look really nice! 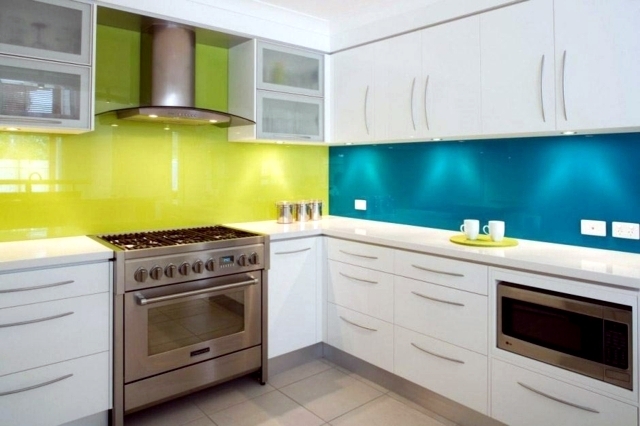 Splashbacks for the kitchen - tiled splashbacks. 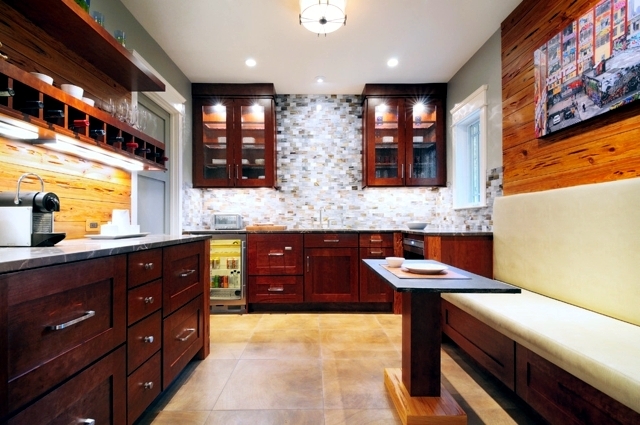 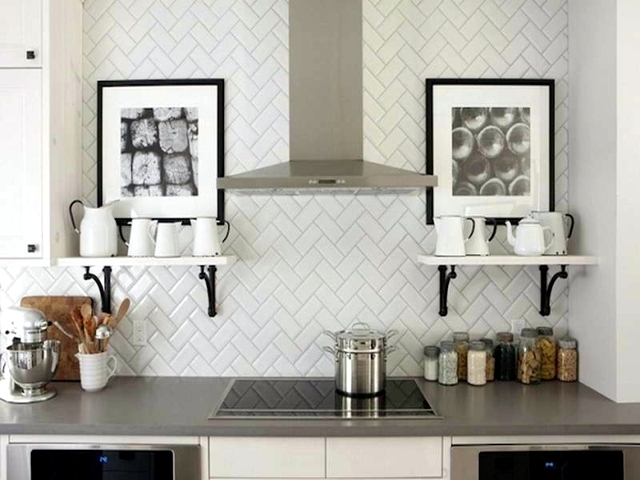 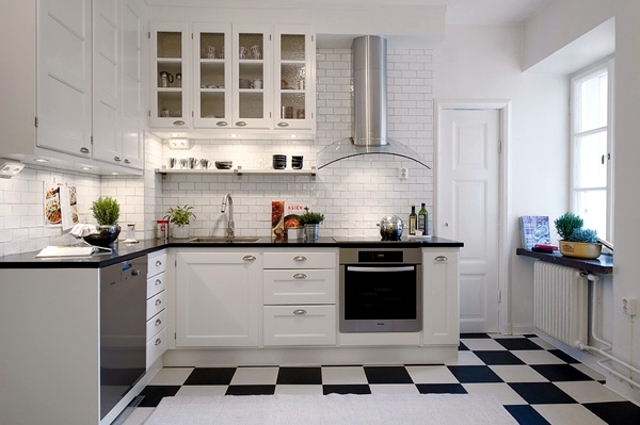 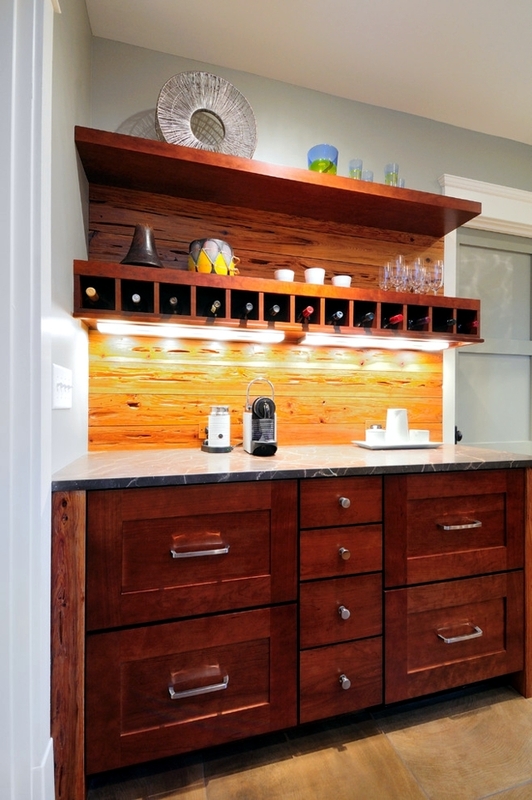 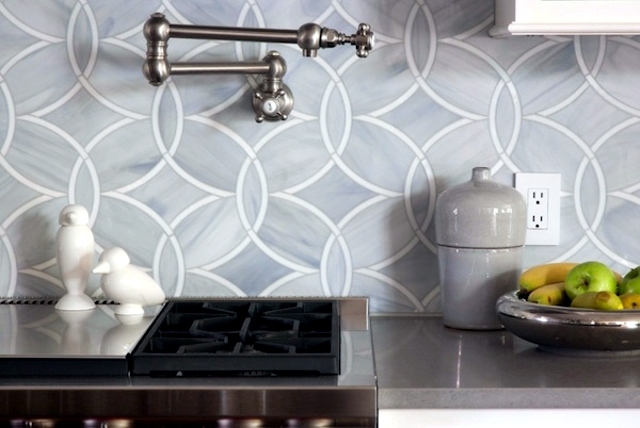 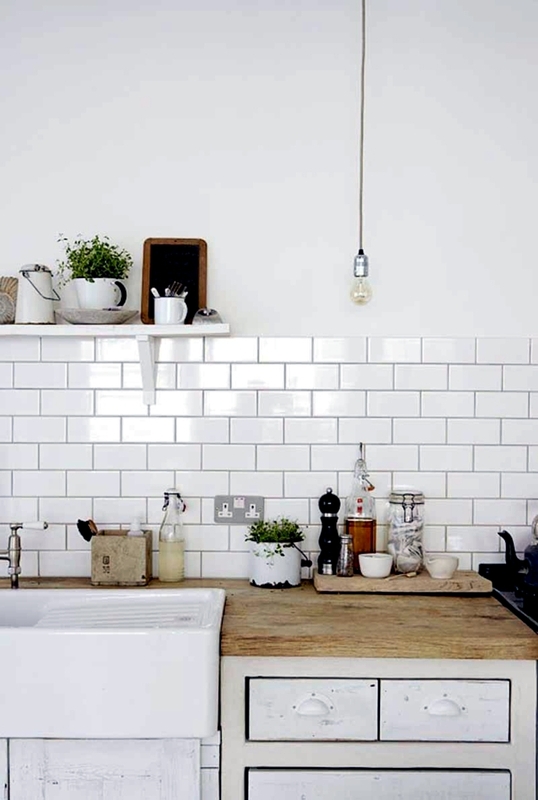 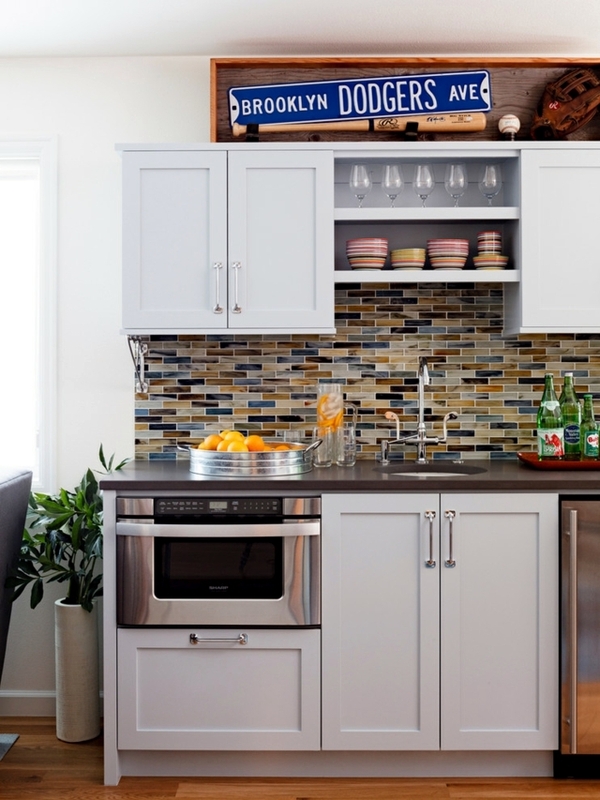 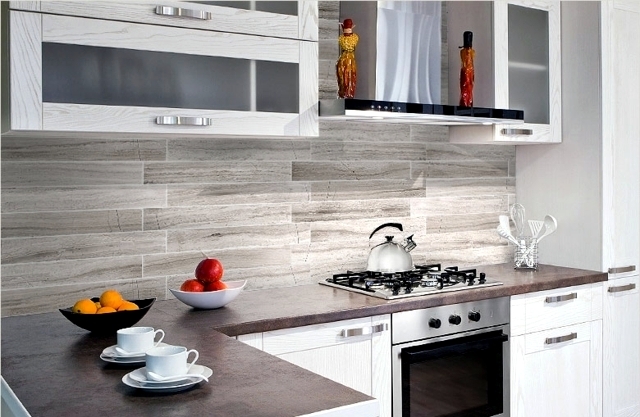 Tiles are a practical solution for a small apartment or a house owner. 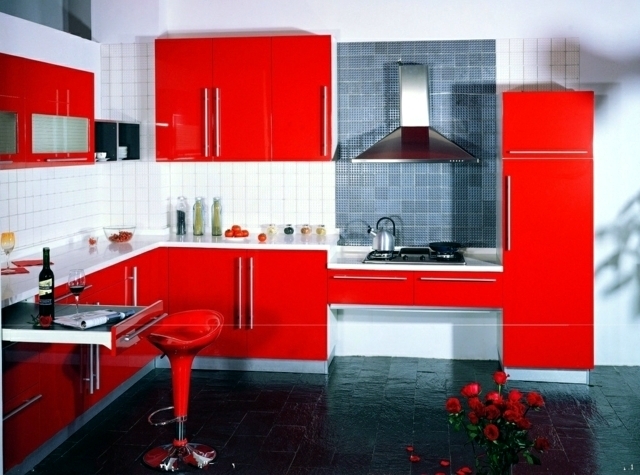 Who wants to remove the kitchen furniture and cabinets to clean the background wall, paint and then rebuild the cabinets? 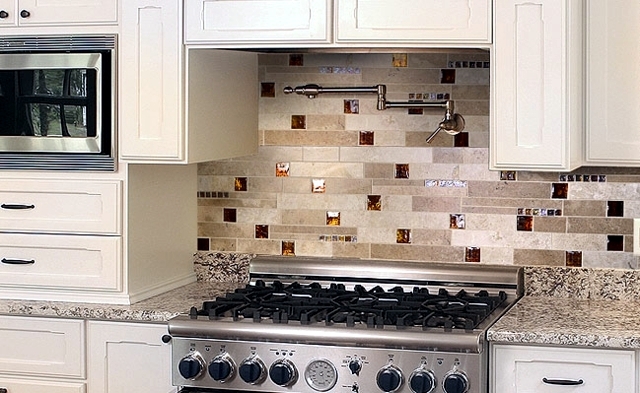 Instead, the wall can be covered with tile and grouted with special mortar. 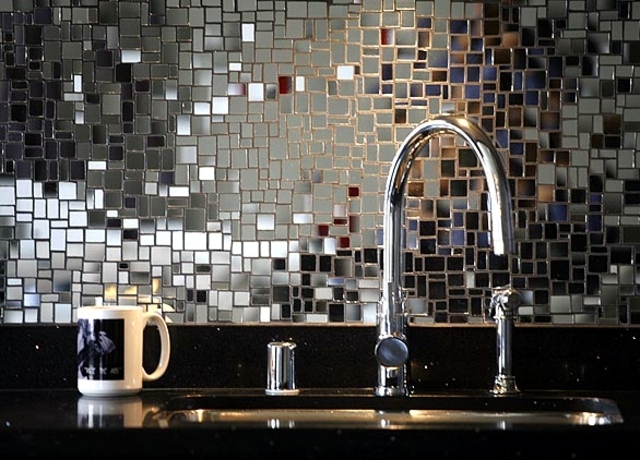 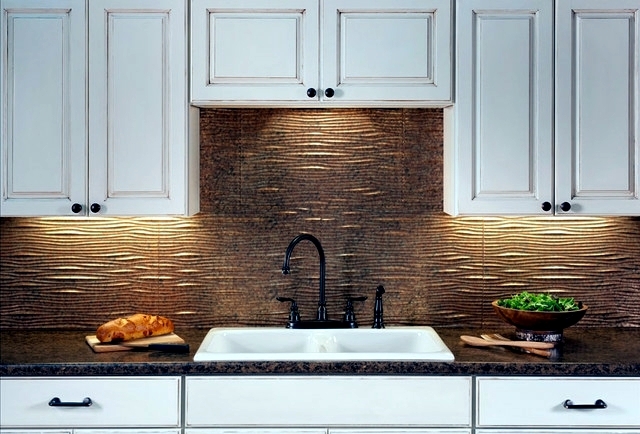 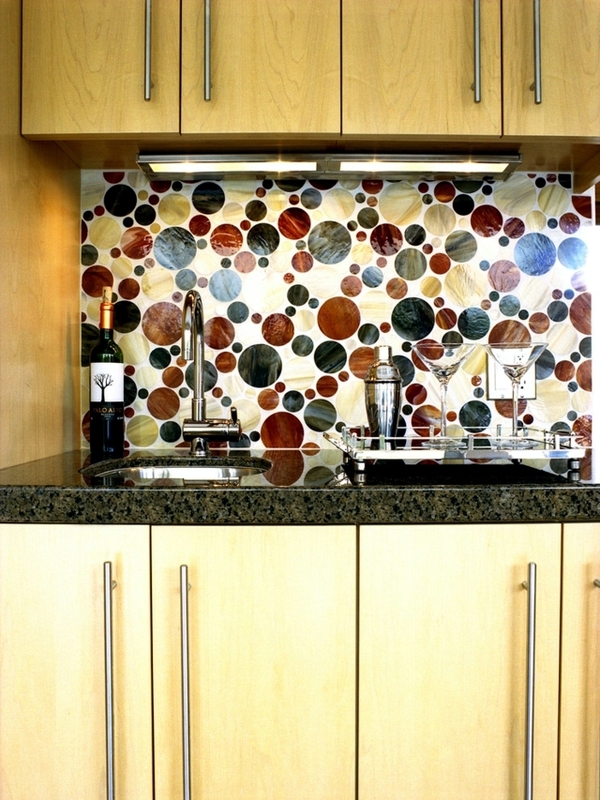 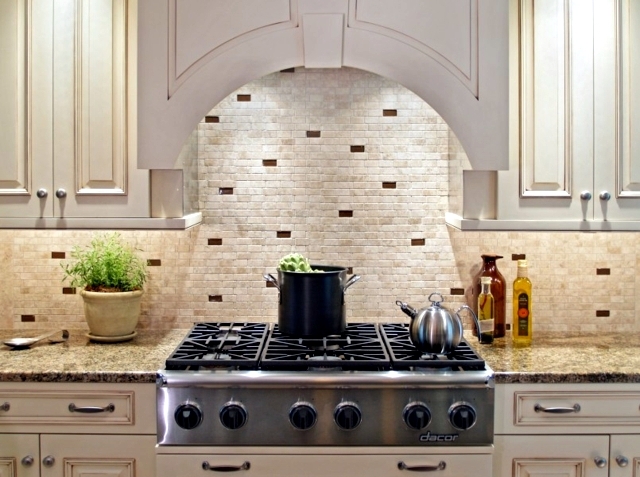 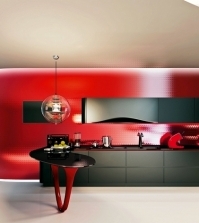 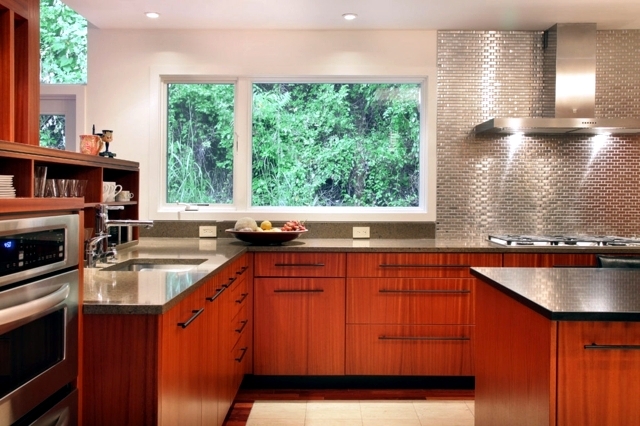 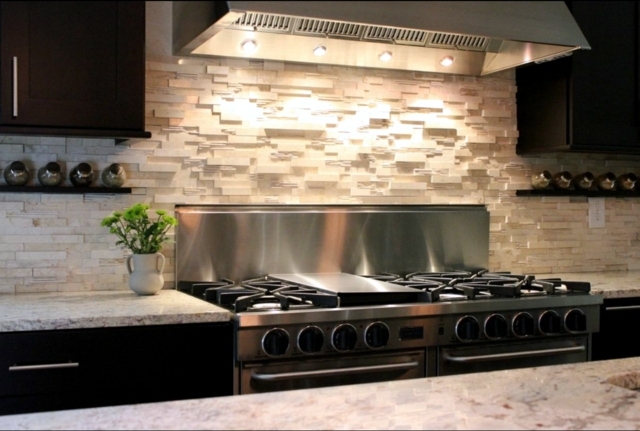 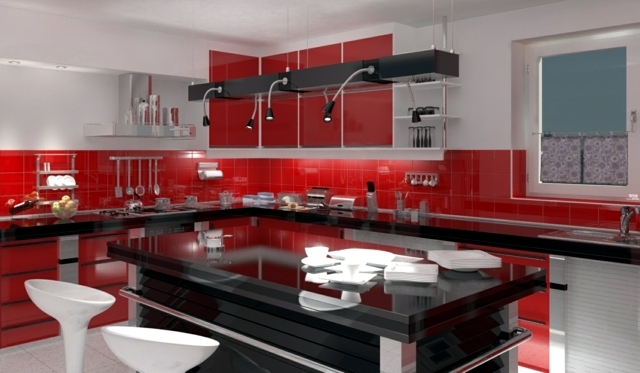 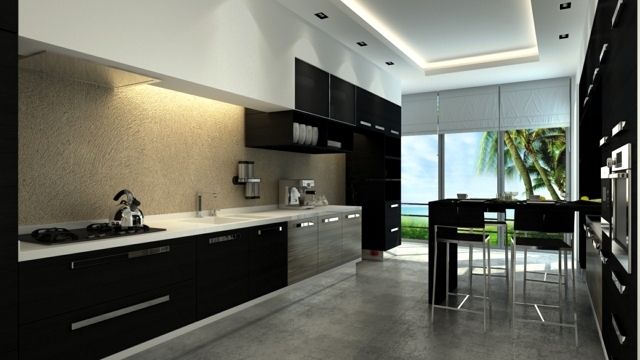 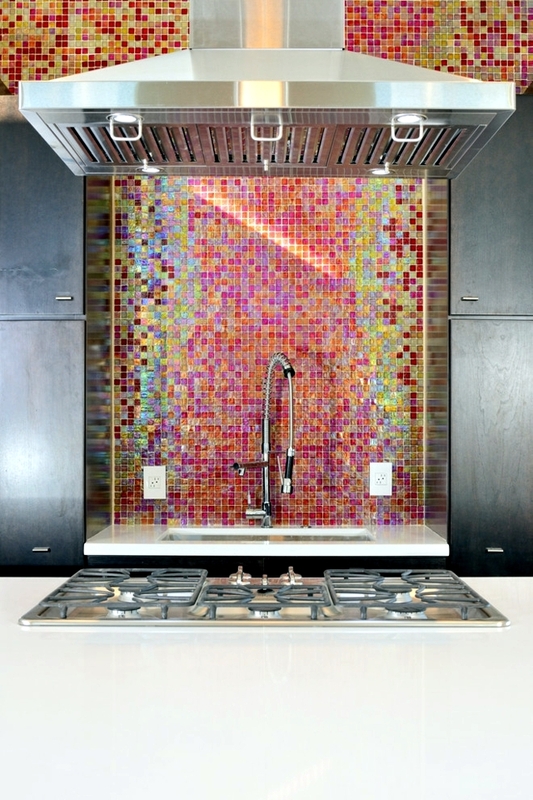 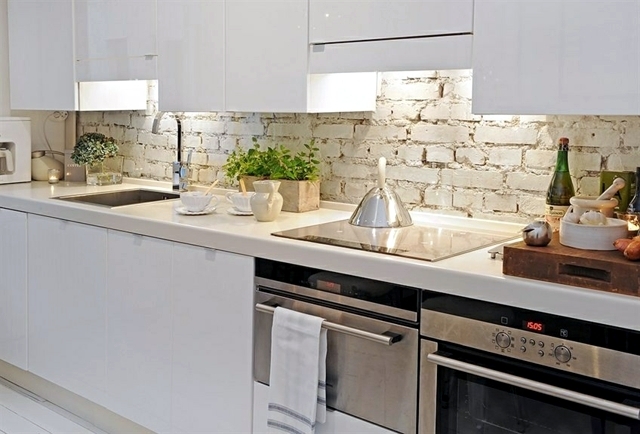 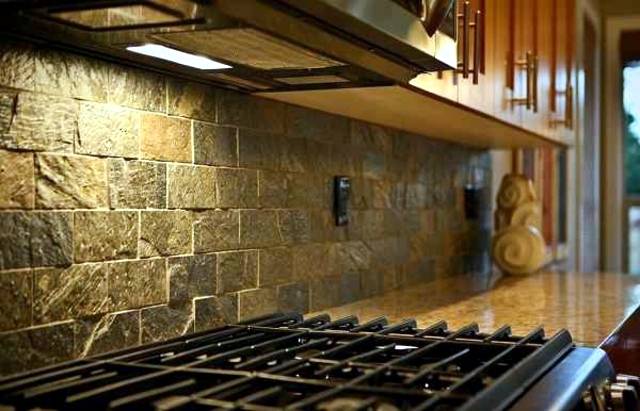 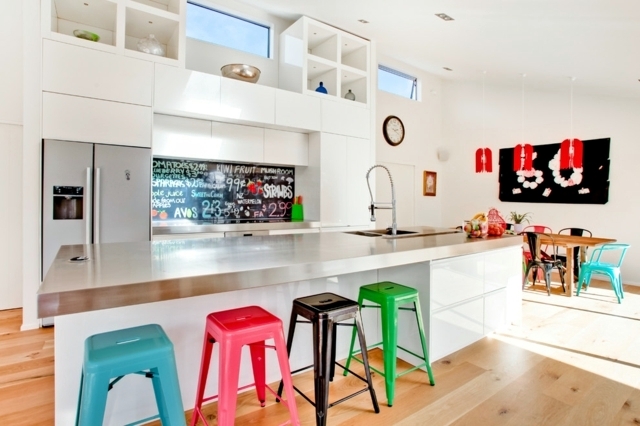 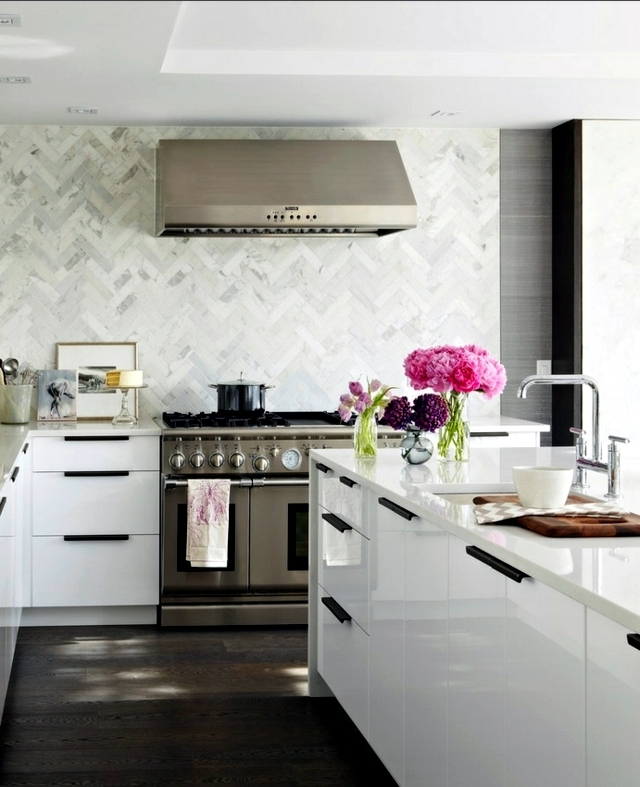 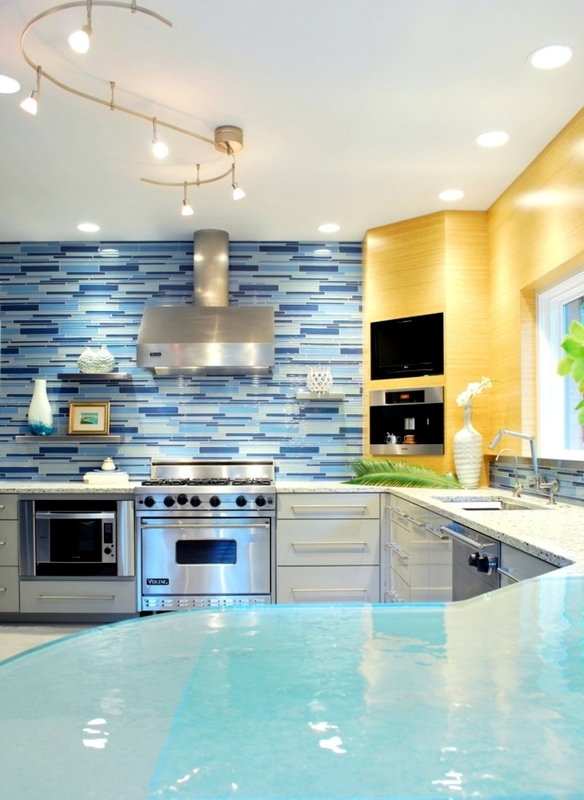 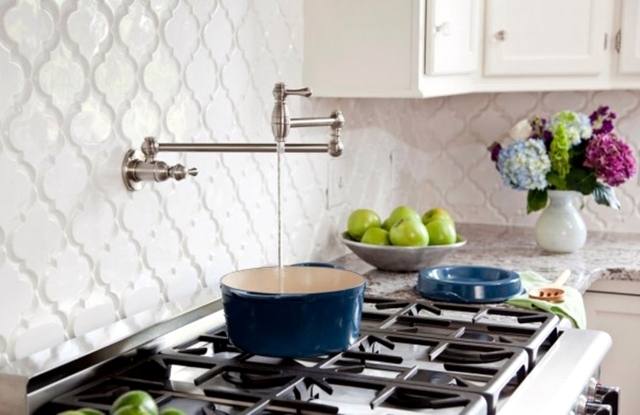 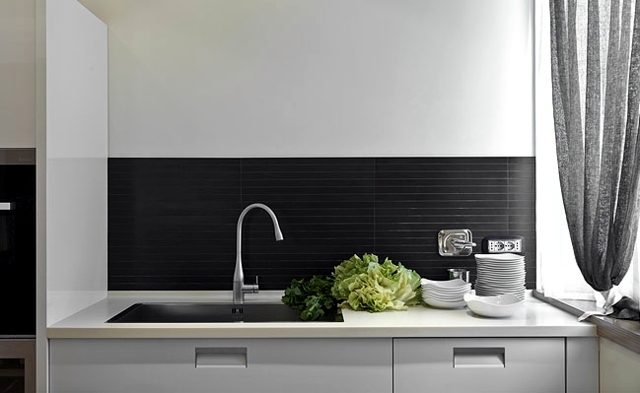 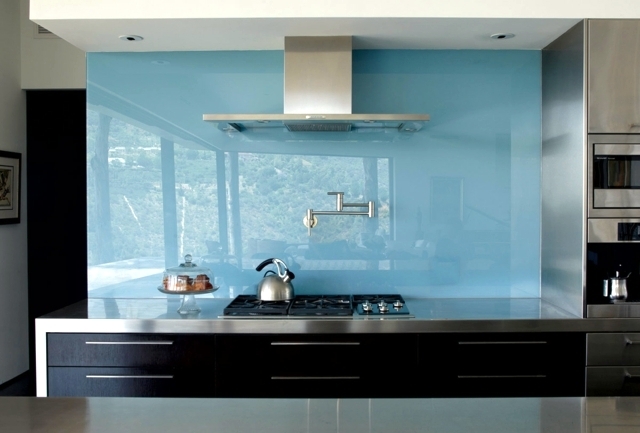 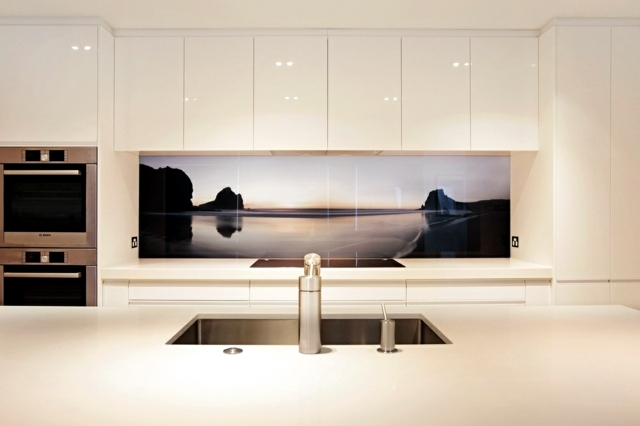 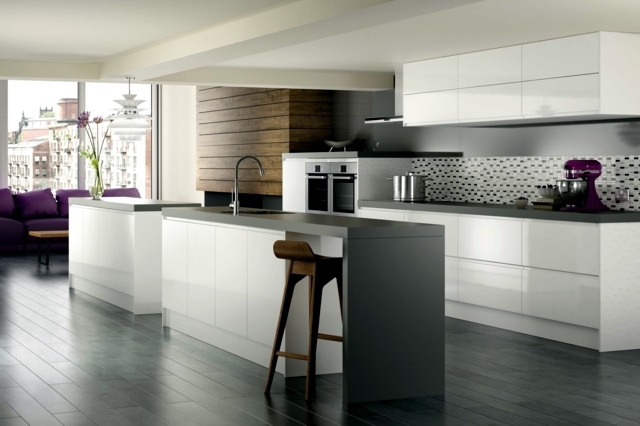 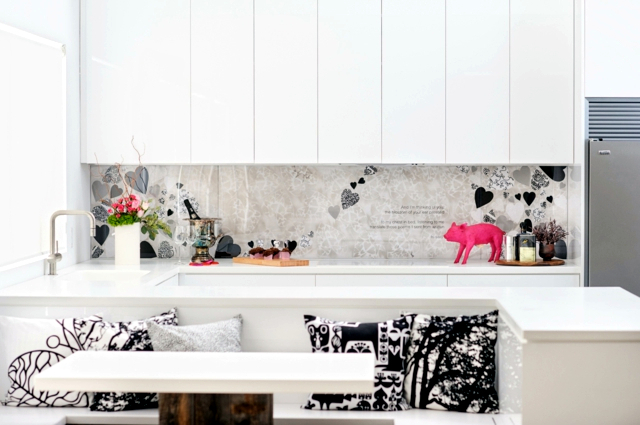 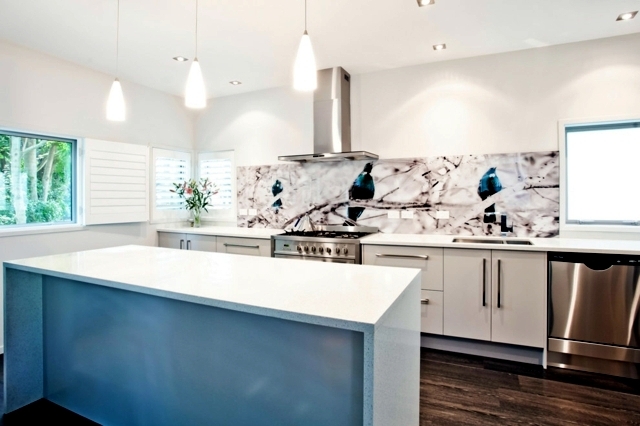 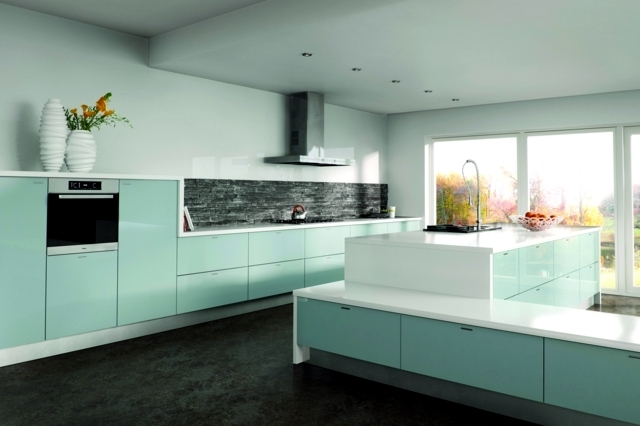 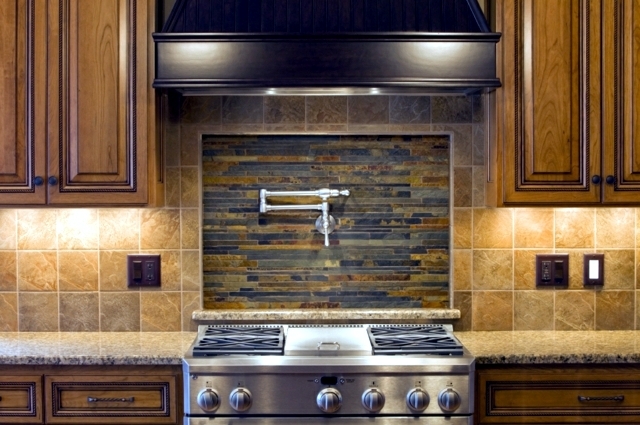 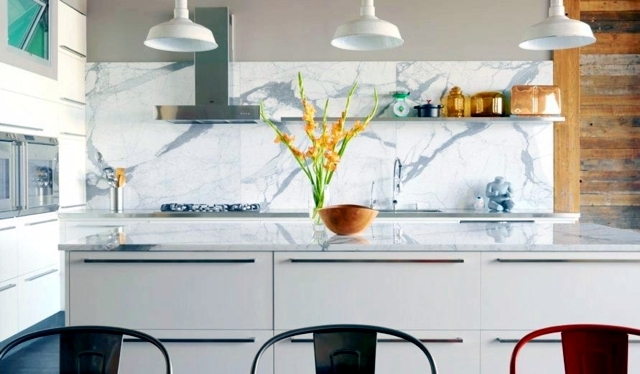 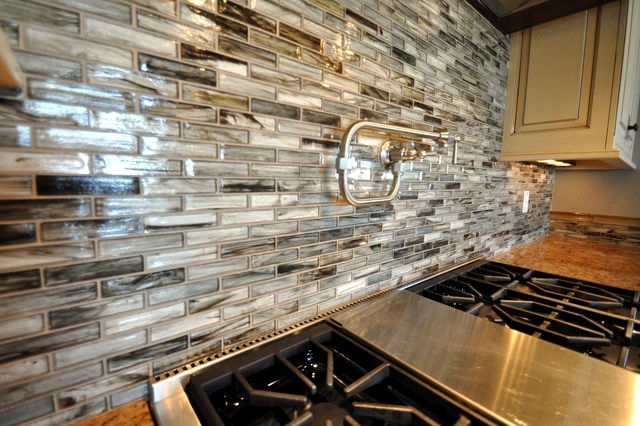 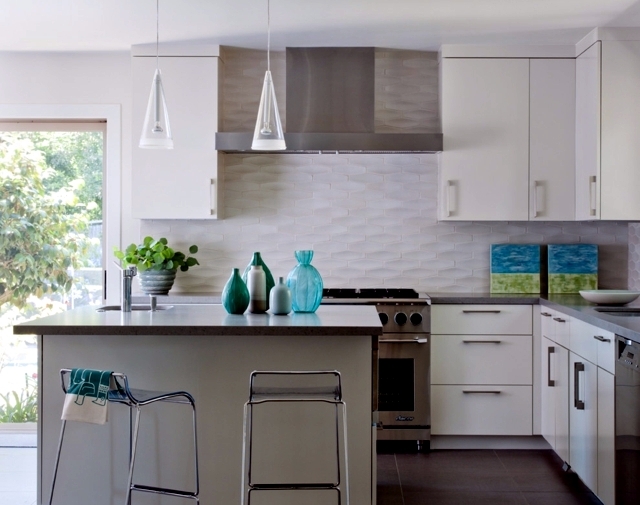 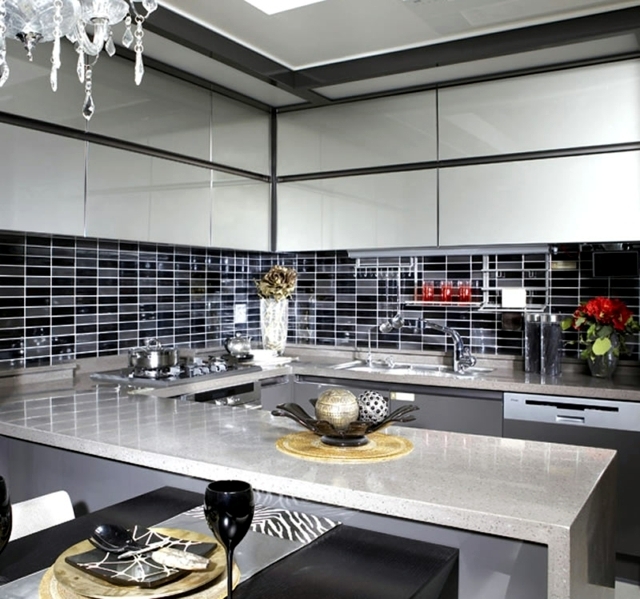 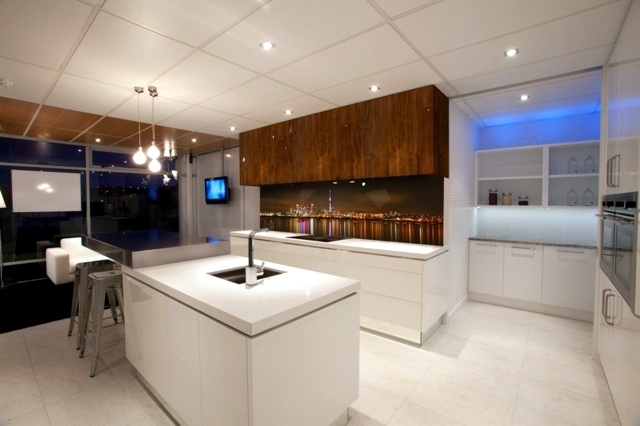 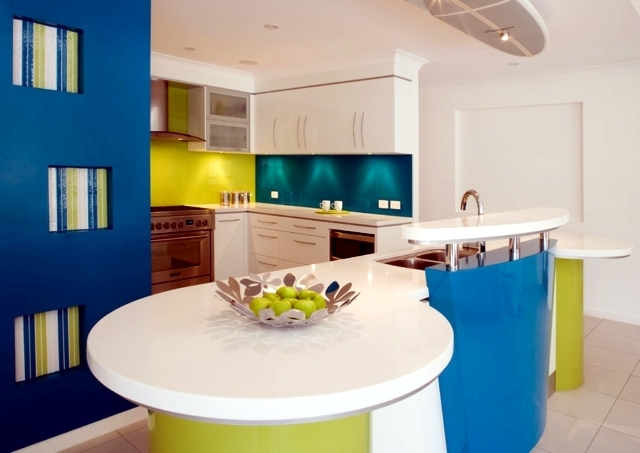 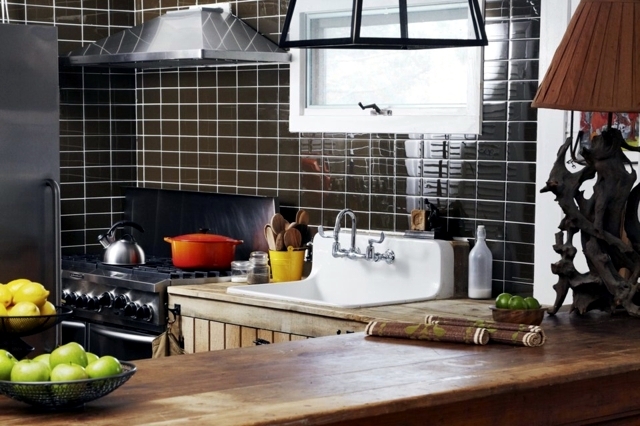 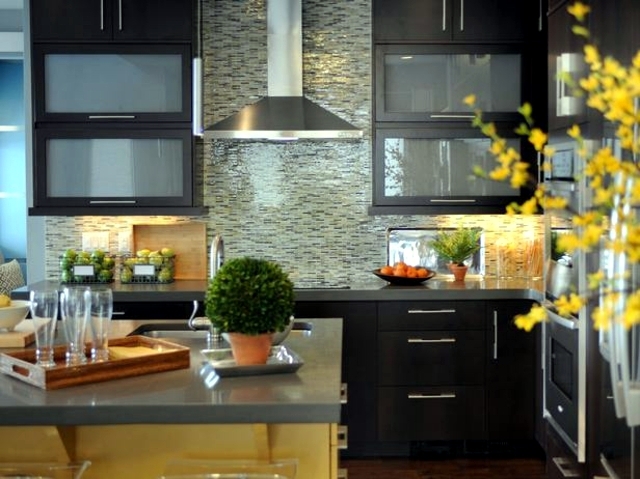 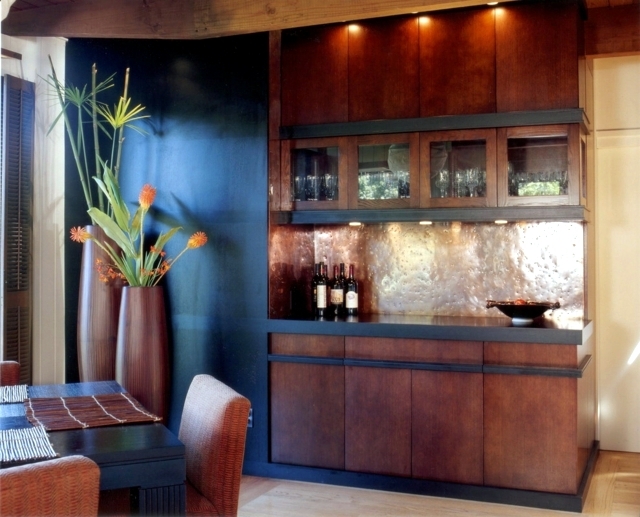 Glass splashbacks for the kitchen - a glass splashback has many advantages over a tiled wall. 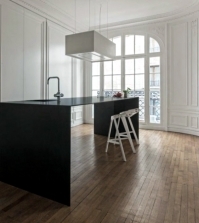 It is easy to clean, can be mounted quickly and you don't need to change the room constructive / its perfect for rental places/. 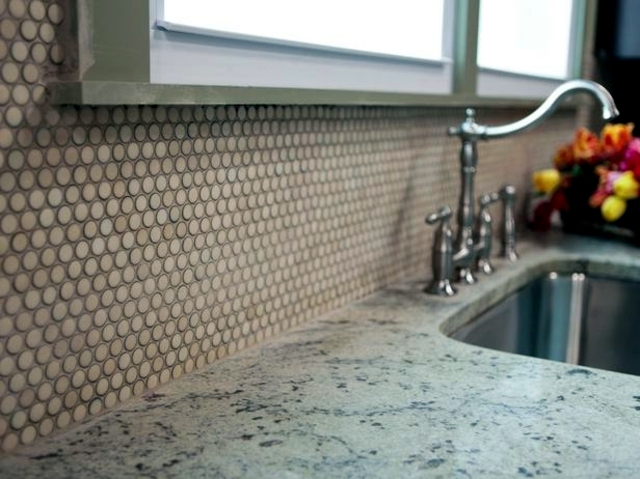 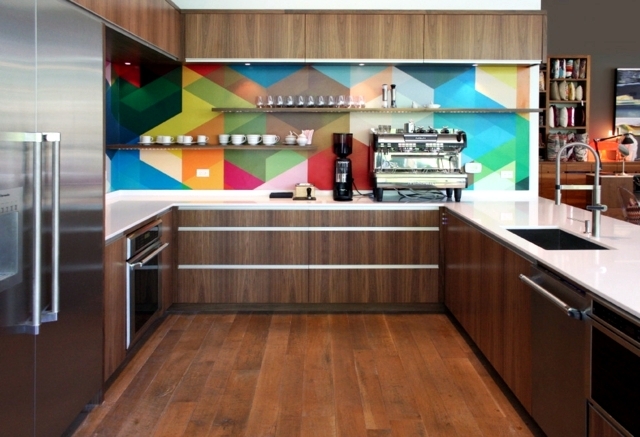 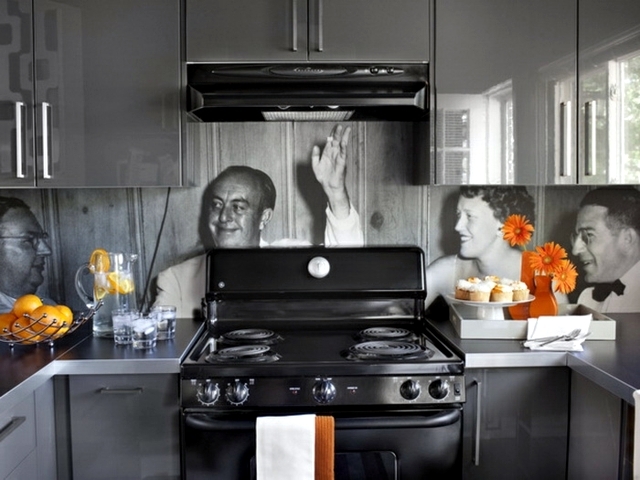 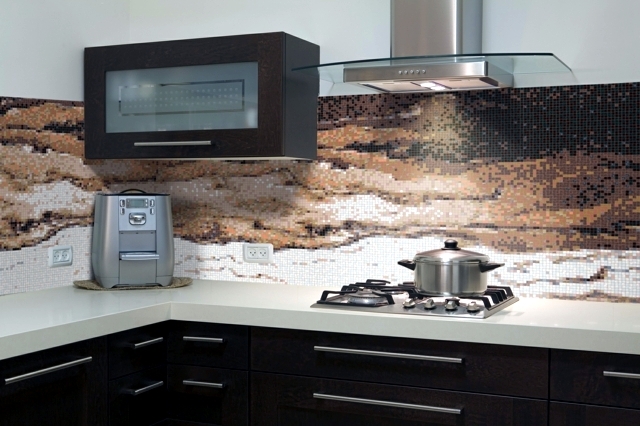 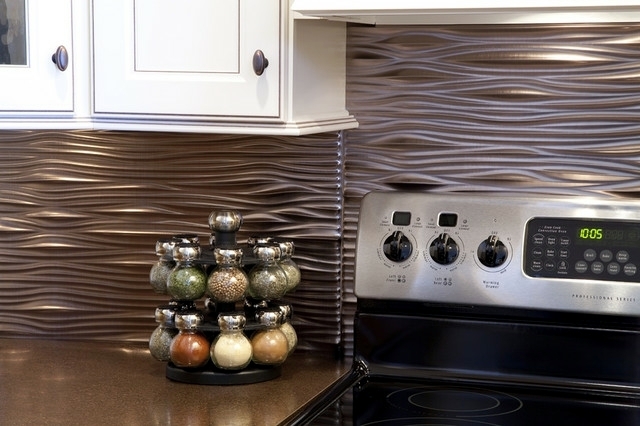 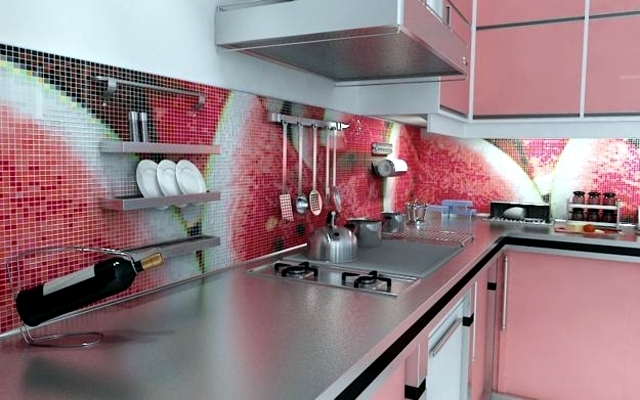 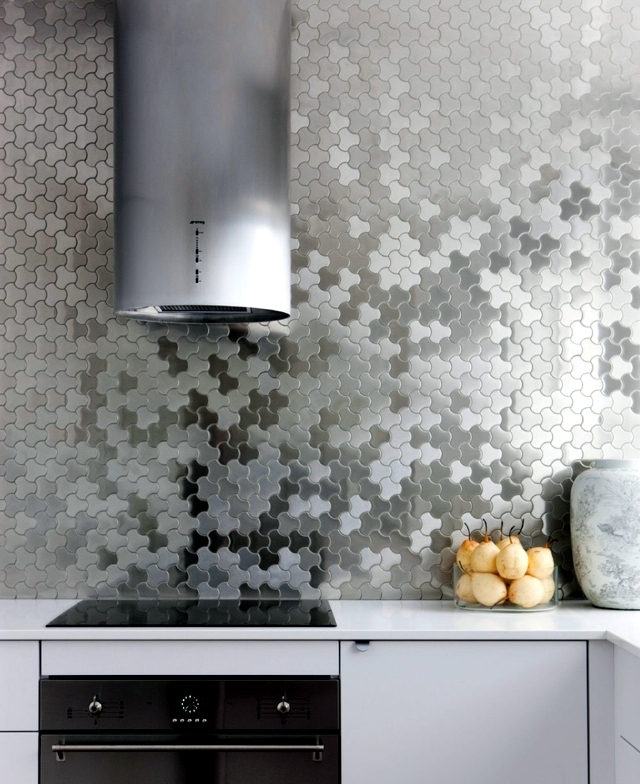 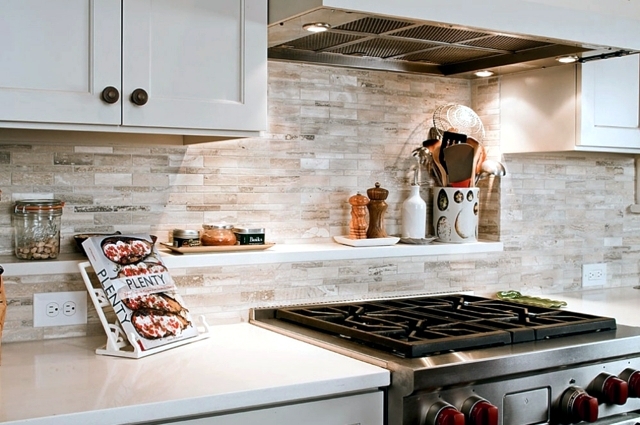 A cheap alternative for glass splashbacks are plastic sheet tiles. 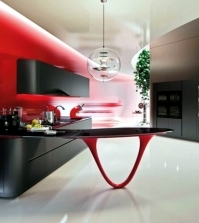 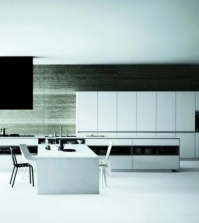 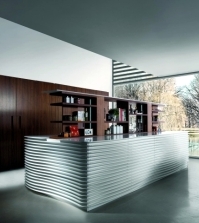 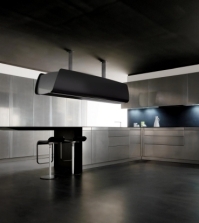 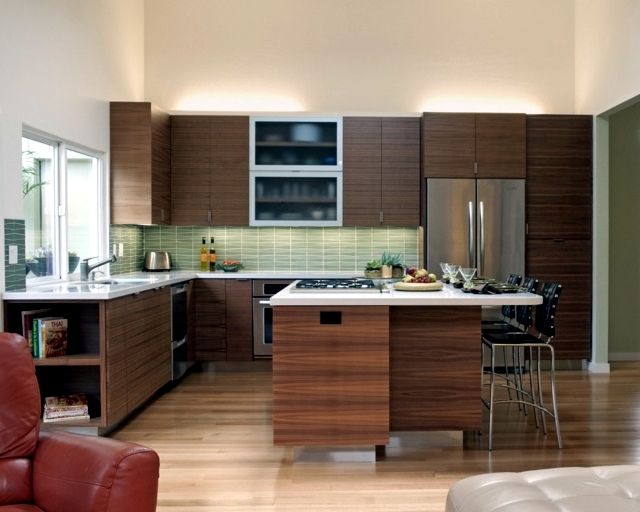 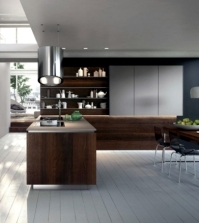 Metal, the material is extremely durable and easy to clean and perfect for a modern and minimalist style. 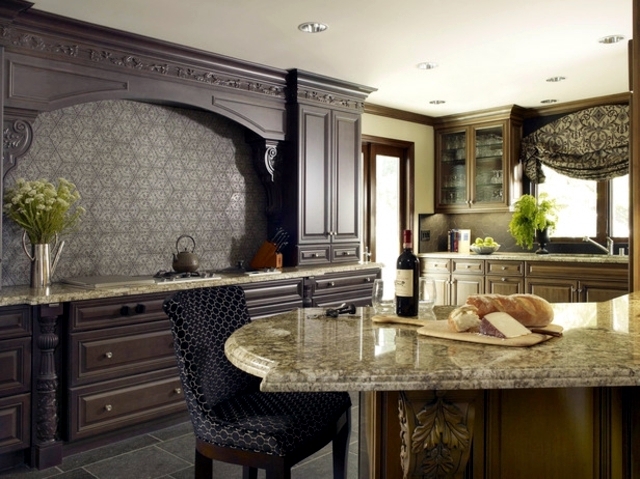 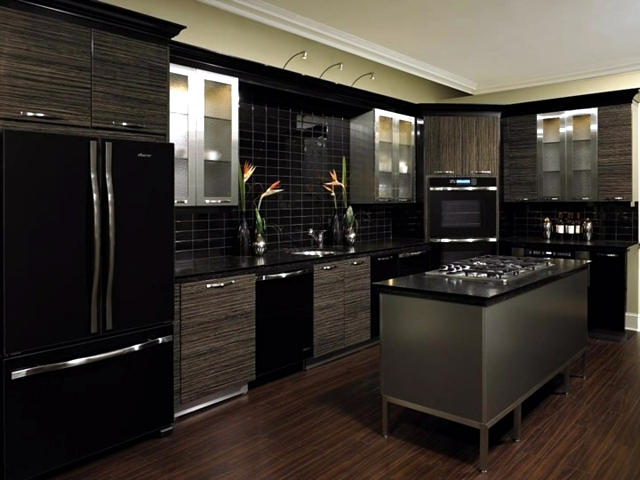 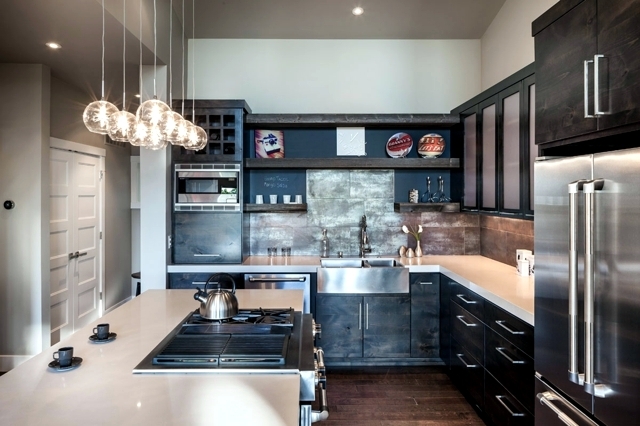 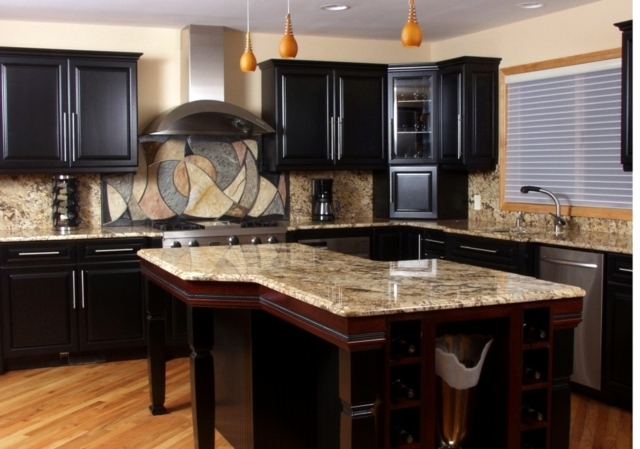 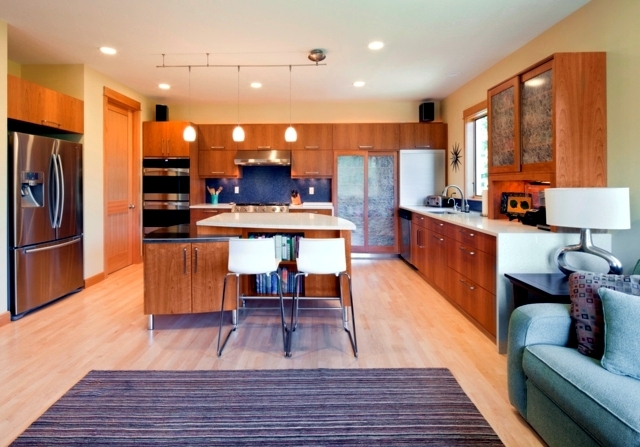 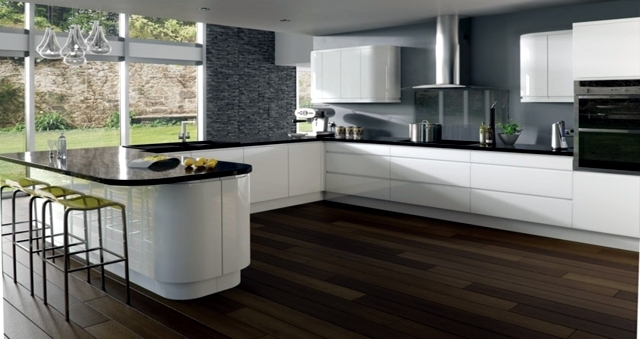 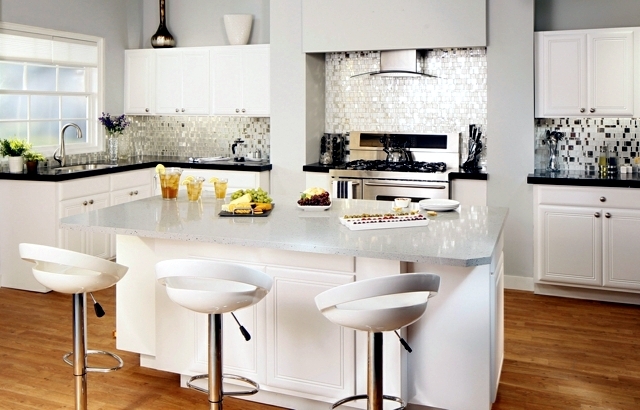 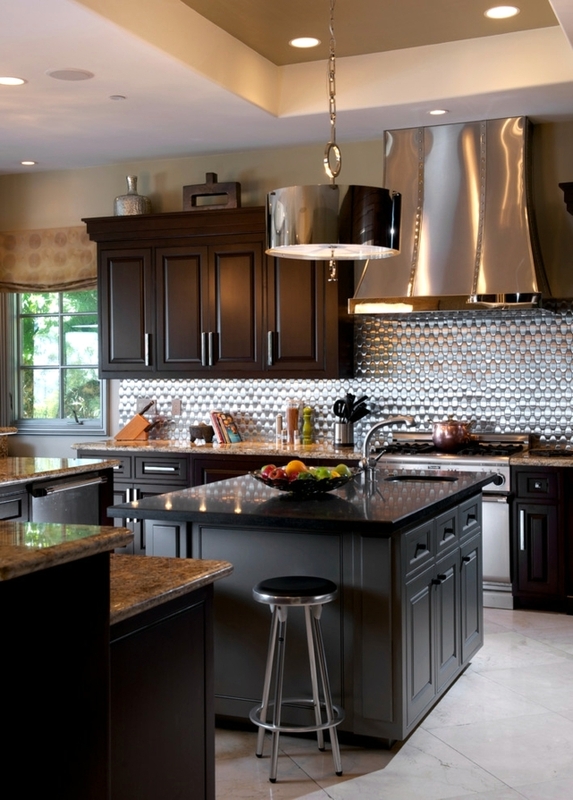 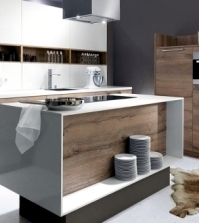 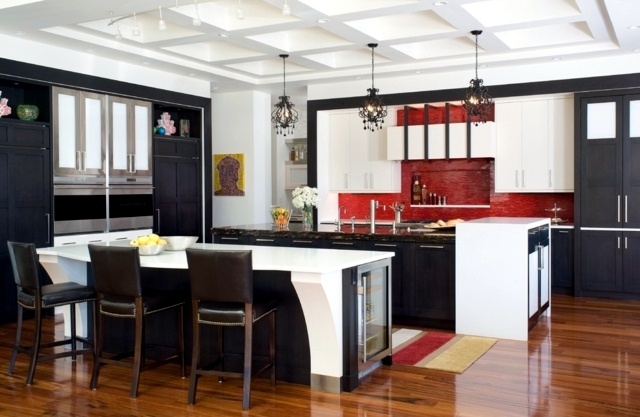 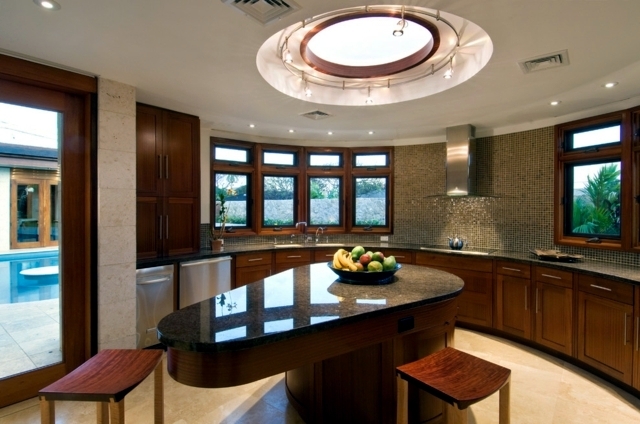 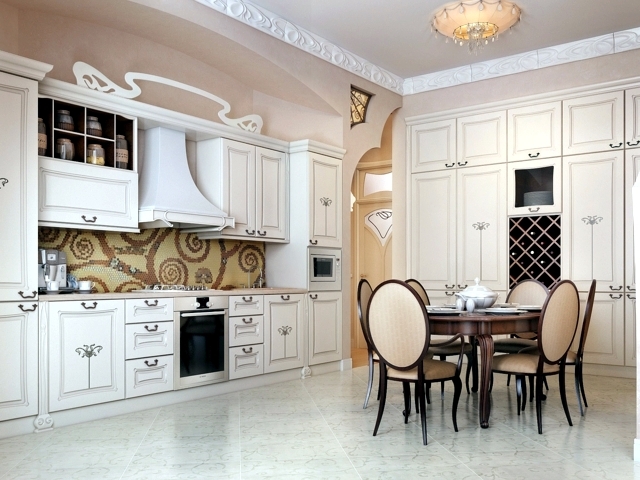 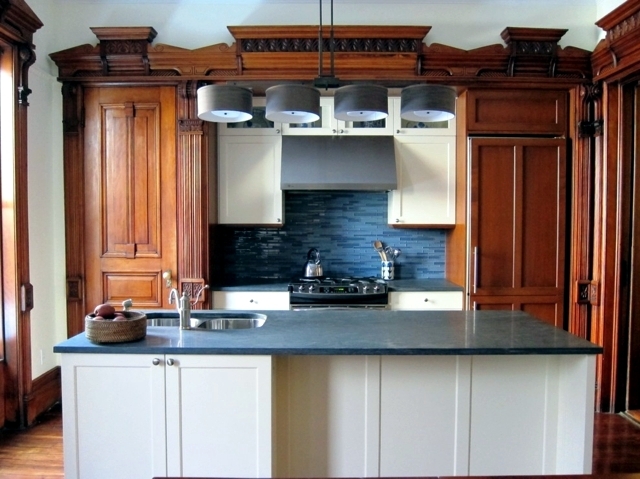 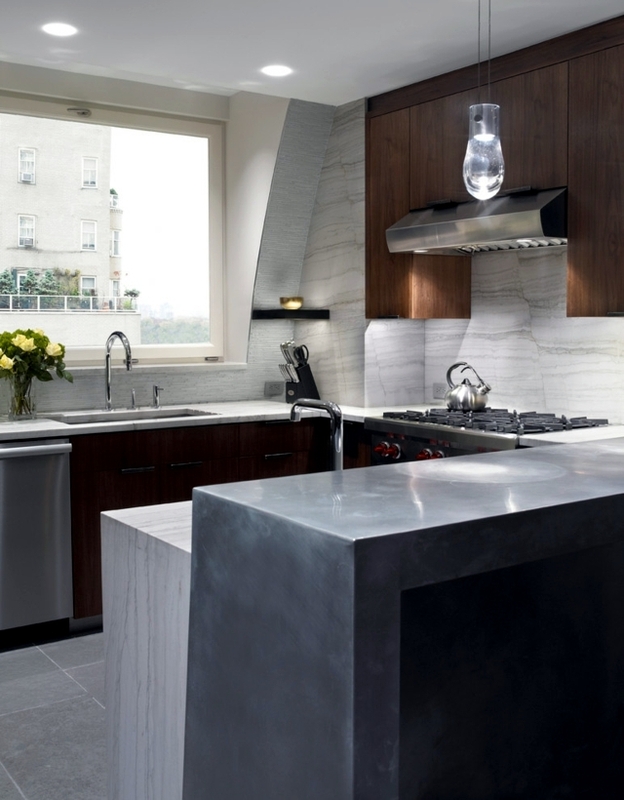 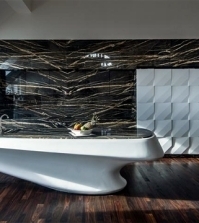 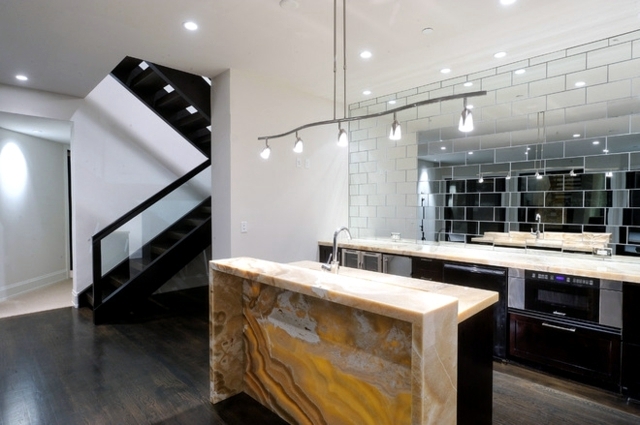 Granite, marble - granite, and marble look chic and improve the classic cuisine. 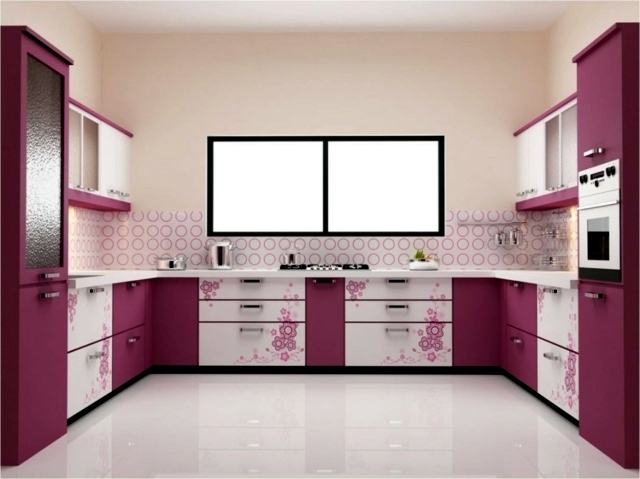 Shelf adhesive film, washable wallpaper, and color - these three options have a clear advantage - which is, that they are much cheaper than others. 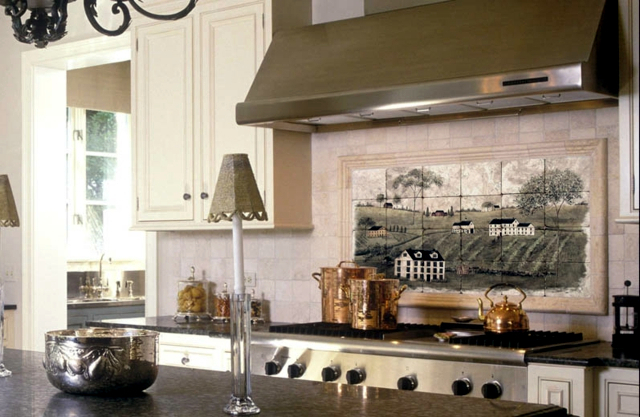 However, if you decide to use wallpaper, paint or film, you should also expect a greater effort - they are less durable and must be refreshed every 2-3 years.